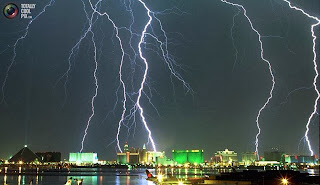 This week’s winner, while there were many great photos shared from the thunderstorm in Vegas, I knew this one won as soon as I saw it. I actually had to go back and look at the other candidates because this photo made me forget them all. It’s one of those pictures that is so good, you immediately think that it might be fake but considering the source, we are wiling to believe it’s real. The winner is @pabloweather’s shot of the strip with multiple bolts of lightening appear to hit it, taken from the airport. One of the reasons I think the photo is real is how the brightness of the lightening causes the exterior lighting of the properties to degrade. 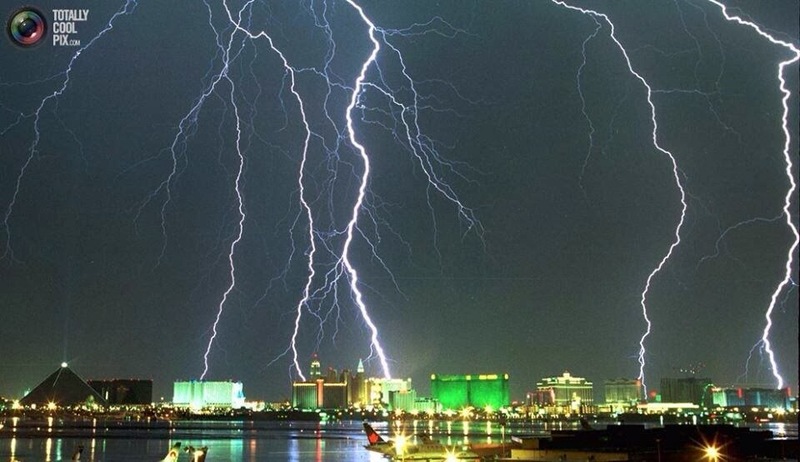 The photo shows lightening apparently hitting Excalibur, Tropicana, Monte Carlo, Caesars Palace and another property, maybe Flamingo, Harrah’s or Venetian. I could go into an extended, over the top monolog describing how great this photo is but the picture speaks for itself. Check it out.